AWA digital recently scooped Gold Winner in the Product Page category at WhichTestWon’s 6th Annual Online Testing Awards for our work on Cox and Cox’s product page, which gained a massive 23.7% increase in Revenue per Visitor with 99.9% statistical confidence. Find out more about the winning split test, and the process used to identify the opportunity and create the new page variation. At first glance it may not look a whole lot different – proof that subtle changes are often the ones that make the difference. Here you can see that a new approach has been taken to copy, and there are more images. In fact the additional images were carefully chosen to illustrate key features of the products that customers had been asking about. 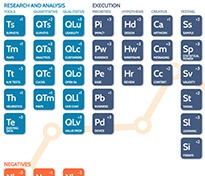 As WhichTestWon said, “We’re all about qualitative and quantitative data… AWA used awesome methodology”. They also noted how good it was to see that this winning variation had been integrated onto the Cox and Cox website. This new product page was one of a number of tests we ran on the Cox and Cox website which generated a massive 107% uplift in RPV. Find out more about what we tested, and why, in our Cox and Cox Conversion Rate Optimisation case study. If you have visions of being in next year’s WhichTestWon Awards’ Hall of Fame, you may be interested to know how we achieved such an uplift. In fact, there’s no secret. We simply followed our proven 5-step Conversion System. Read on to find out how it always delivers results. Before any design work even starts, an in-depth research and analysis phase is conducted. This involves looking in detail at all the data available about your web visitors and customers. This is gathered from analytics data, previous customer and industry research, ‘walking in the customer’s shoes’ and speaking to staff who have direct contact with customers such as Live Chat and Call Centre operators. We also recommend installing software on your site to get extra information, including heatmaps, such as Clicktale or Crazy Egg, to see where visitors click and surveys such as Qualaroo or Foresee to allow you to ask visitors about their experience and behaviour. In addition, this stage involves conducting usability testing. An experienced researcher speaks directly to your web customers about their experiences. As WhichTestWon said, “We love customer feedback”. Typically the research and analysis phase takes around 6-8 weeks to complete before you can collate your findings and make recommendations. 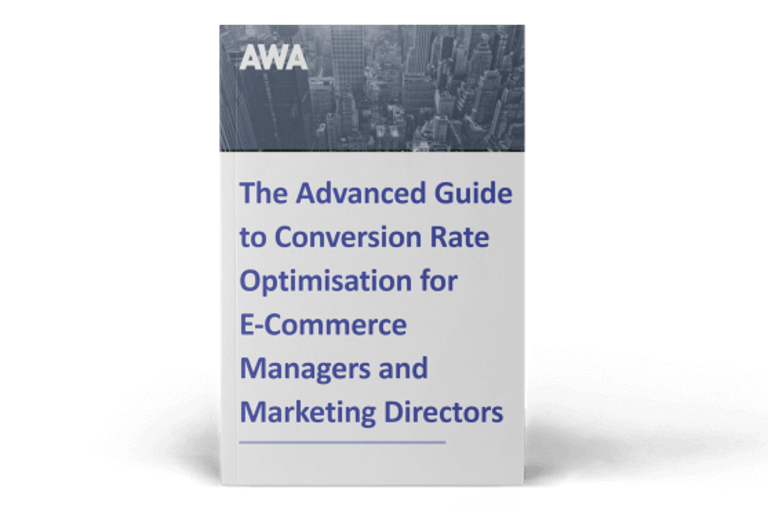 Typically at the end of the first stage, there are dozens of ideas for improvements, and part of the success of any Conversion Rate Optimisation process is analysing them to prioritise which ones to focus on for the biggest wins in the shortest time. We use a technique unique to AWA called ‘Triage’ which gives a weighting to each possible improvement. From this, an Optimisation Plan can be developed which sets the scene for the split test programme which follows. Once the analysis has been conducted and prioritised and the Optimisation Plan has been agreed, it is time to develop new web pages specifically to overcome the problems that your web visitors are having. To help get the best possible results when they are split tested, we recommend researching wireframes and designs with real customers, and going through several iterations before creating the split test. To test the effectiveness of the new web pages, we use a split test tool such as Optimizely or Maxymiser. Each test takes about 4-6 weeks to run, and at the end you know conclusively if the new version is a ‘winner’. Winning designs can then be made live on your site, and you can move on to testing something else in a continuous cycle of improvement. 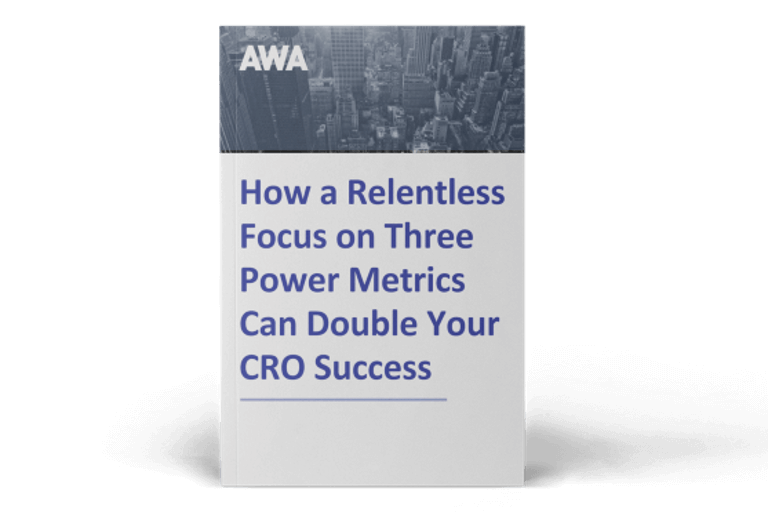 Following this methodology helps AWA gain double digit growth for dozens of websites that we work on every year. It’s important to be systematic and not be tempted to cut corners – the real growth comes from following each stage. However, the benefits of using the methodology aren’t just winning WhichTestWon awards like the Product Page – Gold Winner in 2015 and the Homepage – Gold Ribbon in 2014's awards. You also gain long-term advantages, as changes made always improve the brand experience and build loyalty. Plus you and your team learn techniques along the way that you can carry on using long into the future. The Online Testing Awards are held every January/February to shine a spotlight on the best A/B and multivariate tests conducted worldwide. They’re open to both conversion optimisation agencies and marketers running an in-house split test programme. Judges look for statistically conclusive test results that will inspire other to start, or continue, split testing and evaluate a number of factors including uplift and use of methodology or best practise. To find out more about this year’s winners, take a look at the Hall of Fame or watch a recording of the awards webinar. If you’ve been inspired by our win, or the methodology used to achieve it, we’d love to hear from you. Please comment below or contact us to discuss how you can put yourself in the running for next year’s awards.